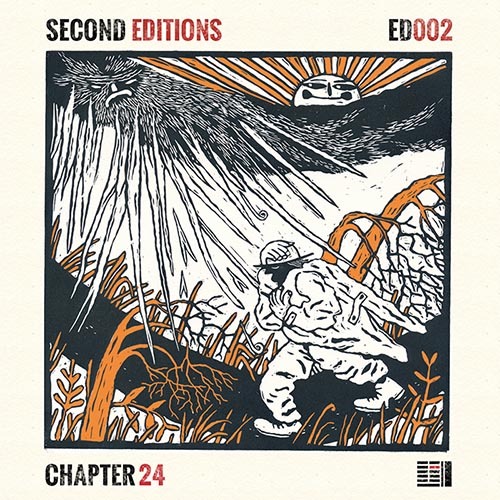 In the third of Chapter 24’s Editions compilations, the label has invited a select group of talented artists from across the globe to reimagine original tracks from its first two years of releases. A host of gems and treasures are to be found, featuring remix pearls from returning favourites Luis Leon, Jonas Saalbach, David Durango, Petar Dundov and Dan Grassler alongside new arrivals to Chapter 24 PHCK, Luke Garcia & Th3 Oth3r and Camel Power Club; who rub shoulders on the release with label co-founders Sam Pauli and Paul Nolan. Spanning the melodic end of the underground music spectrum from techno through to electronica, you can be assured this release has you covered. The Third Editions compilation brings Chapter 24’s second year of releases to a close, leaving us excited for what’s to come in 2017. In the second of Chapter 24’s Editions compilations, the label has invited a select group of talented artists from across the globe to reimagine original tracks from its releases earlier this year. Kicking things off is Rafael Cerato’s interpretation of KatrinKa’s Beauty, featuring vocals by Billie Fountain. Cerato (Systematic, Stil vor Talent) puts a dark, techno spin on the original in a track guaranteed for maximum dancefloor impact. David Alexander is next up, and maintains the momentum with his rerub of Danny Oliveira’s Stargazer. The Edition reflects DA’s style perfectly, skirting the dark and driving side of Deep House, infused with signature basslines and haunting synths. Canada’s Van Did (Herzblut, Sudbeat) then takes the reins with his take on Goodbye by THe WHite SHadow (FR). Showcasing the skills which have installed him as one of his country’s brightest underground talents, he creates a tense, layered and atmospheric piece of melodic techno. Another Danny Oliveira Edition follows next, this time of the huge Saikin Do. Up-and-coming German producer Someone Outside (Tenampa, ARDOR) steps up to the plate with a huge and chugging techno cut, building to an entrancing melodic climax. New York-based Naveen G (Cityfox, Listed) picks things up with an epic reinterpretation of The Owl by Twelve Minds. Starting with widescreen soundscapes, the track narrows in on a pulsating groove, interspersed with moments of drama. The duty of closing out this second compilation falls to Anton Dhouran, a young emerging artist from Paris, who, by age 20, has already signed to various labels such as Diynamic and Manual Music. He doesn’t fail to deliver: his Edition of Aspice by Sam Pauli & Reiver takes us to the skies, wondrous pads anchored by rolling 808 bass, percussion and guitar lines. 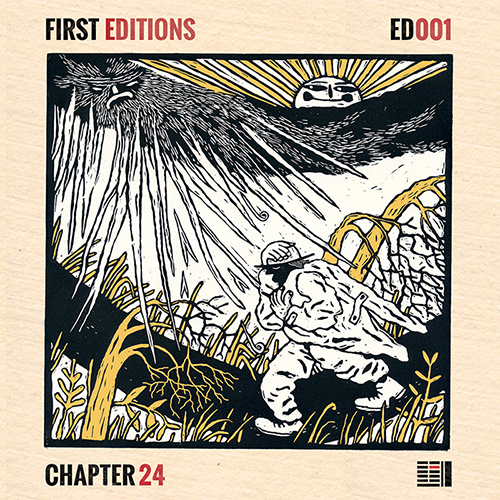 In the first of Chapter 24’s Editions compilations, the label has invited a select group of talented artists to reimagine some of the original tracks from its first five releases. First up are French duo Melokolektiv (Crosstown Rebels, OFF), whose edition of Crystals by QUARTZ is tense, bumping, full of groove…finally resolving in an emotive peak. A surefire winner in mixes, podcasts and on the dancefloor. Chapter 24 co-founders Sam Pauli and Paul Nolan are next up with their take on Stargazer by Danny Oliveira. A relentless, pounding techno groove takes hold before twice yielding to a sea of warm and hypnotic pads. Finally the groove takes over once more to carry us ashore. With previous releases receiving support from the likes of Dixon, Maceo Plex and Hernan Cattaneo, Cologne-based Marten Sundberg steps up. He takes The Owl by Twelve Minds into darker, techno territory via a breakdown of some epic proportion. Sunshine pierces through the clouds as perennial Beatport chart regulars Alec Milliner and Darren James aka Framewerk take us to altogether warmer climes, bringing their own brand of deep house to bear on the excellent Echo Gnomic by KatrinKa. London-based producer and good friend of Chapter 24 Darien J turns in a fantastic edition of Start Over by Sam Pauli and Paul Nolan, which retains the uplifting spirituality and ‘take them to church’ vibe of the original, while placing a greater emphasis on a powerful bassline. Finally, Editions One closes with another reinterpretation of KatrinKa’s Echo Gnomic, this time by Berlin-based AFFECT! (Moodmusic, Save Us) who ends this first issue of the compilation by delivering a drifting, dreamy edition of the original. 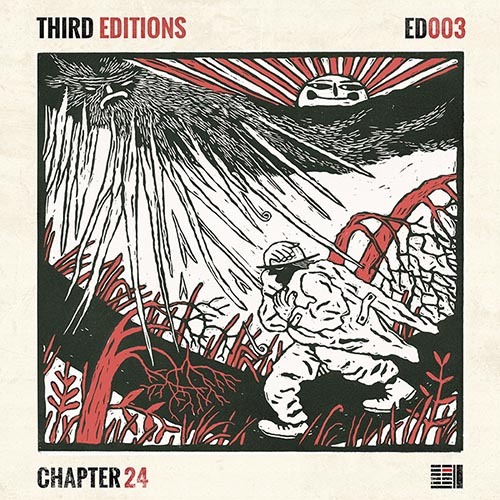 The Editions compilation brings the first phase of Chapter 24 releases to a close in what has been a fresh and promising crop, leaving us excited with what is to come.